The bread and butter of the adult Halloween lover is without a doubt the party. 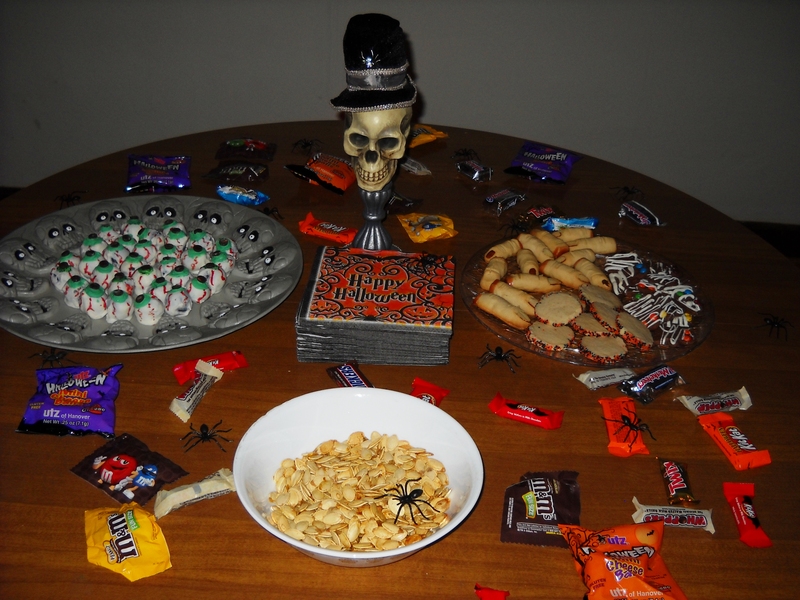 Children enjoy a good Halloween party too: when I was a kid, we had all sorts of festive shindigs. But the cornerstone of the adult Halloween party is quite different than the kiddie party: alcohol. And since it is a Halloween party, you’ll want to serve them some creepy drinks. As for my party, these are the concoctions I brewed up for my unsuspecting guests. Mix it all up in a cauldron and toss in some cheesecloth-wrapped dry ice so that the black potion bubbles forth some fog. The mixture of the orange and grape Kool-Aid will turn the punch a murky black color. 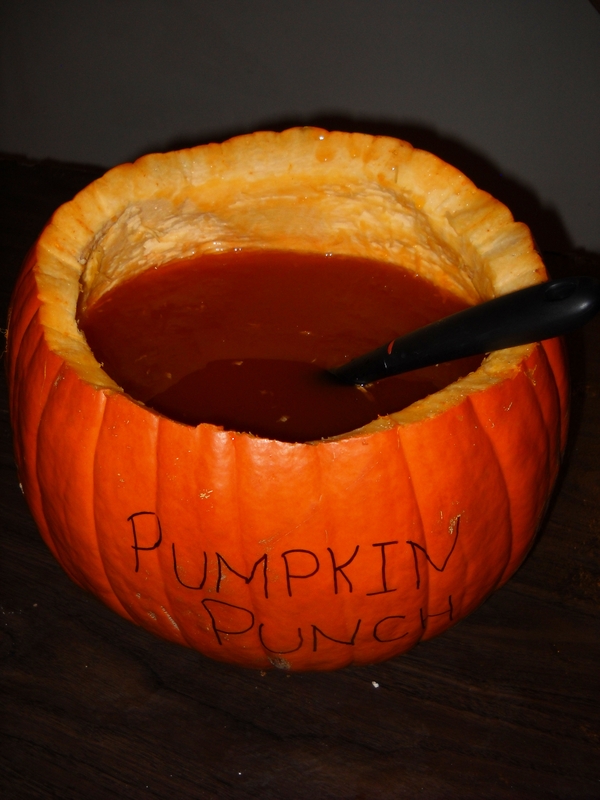 Mix all the ingredients in a hollowed out pumpkin, which will serve as the punch bowl, and enjoy the taste of autumn! This was a huge hit at my party and disappeared almost as quickly as the Oreo eyeballs. This strong and tasty version of sangria works perfectly for your bucket of blood. Sangria is not only red in color, but is also quite similar to the Spanish word sangre, which means “blood.” Or if you’re lazy like me, you can just pick up a bottle of Madria Sangria at your local liquor store. 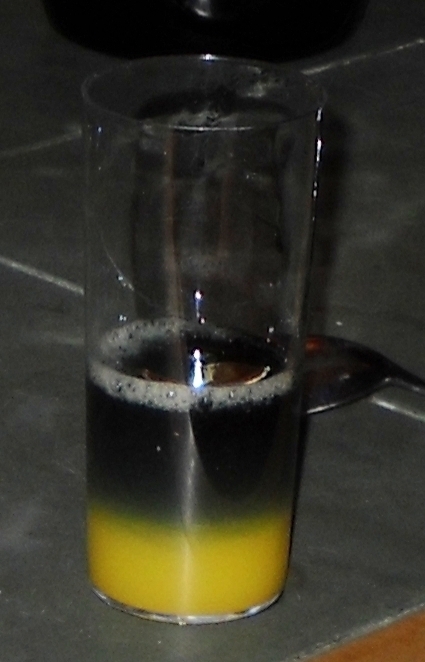 Pour the orange juice into the bottom of the tall shooter glass, and then carefully pour the black vodka on top of the orange juice over a spoon. This will create a nice layered look of black and orange. To make the party a hit, take my advice from the rest of the Halloween Countdown: make sure you have a good playlist for your guests to rock out to; have the house decorated with black lights, fog machines, spiderwebs, and jack-o-lanterns; make sure everyone’s got a good costume to wear; serve your drinks and delightfully spooky snacks, and have a terrifyingly good time! Since we’ve run out of time in this year’s Halloween season, if you didn’t manage to do all of these things to make your Halloween worthwhile, don’t sweat it! There’s always next year, and now you have a full 365 days to plan ahead to make Halloween 2012 awesome. Interesting drink ideas…I will have to try some. Love the pumpkin punchbowl! My favorite Halloween drink is a shot of Midori in some orange juice, which I like to call a Swamp Thing.